to make a first person game in seven days. a game that takes us to new places in new ways. faq / what are the rules? watch some gulls, feel better. Fight waves of spooky ghouls. How long can you last? A City Pop-inspired photography game. Look at the lights, listen to the sounds. Survive the harsh surface of mars for as long as possible. In the aftermath of the Y2K war, can you save your farm from the rampaging appliances? A deer hunting trip in the Scottish Highlands. Roll through colourful environments as a ball! A mysterious virus infected the peaceful city of Trastopolis. Befriend the Great Lord of Evilness in this energetic and hard fps ! Like rounders, but with a spooky theme! Demo of an Ikaruga-like FPS. Short political protest in game format. Uncle Ben's in too deep and Spider-Man is the only person he can trust to finish the job. A Cheeze-It exploration game find the cheese its and bring them to the hallway in the basement. 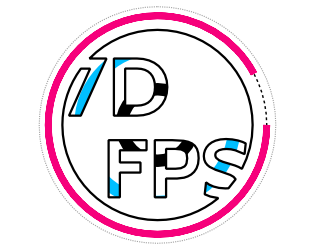 A short test of your FPS skills in a procedurally generated test course. A game about surviving waves of upcoming CUBES! Final submission for the 2018 7DFPS game jam! Defend your team from waves of enemies in (not) AR.